Customize InterActive DMS to meet your needs in less than 5 minutes! 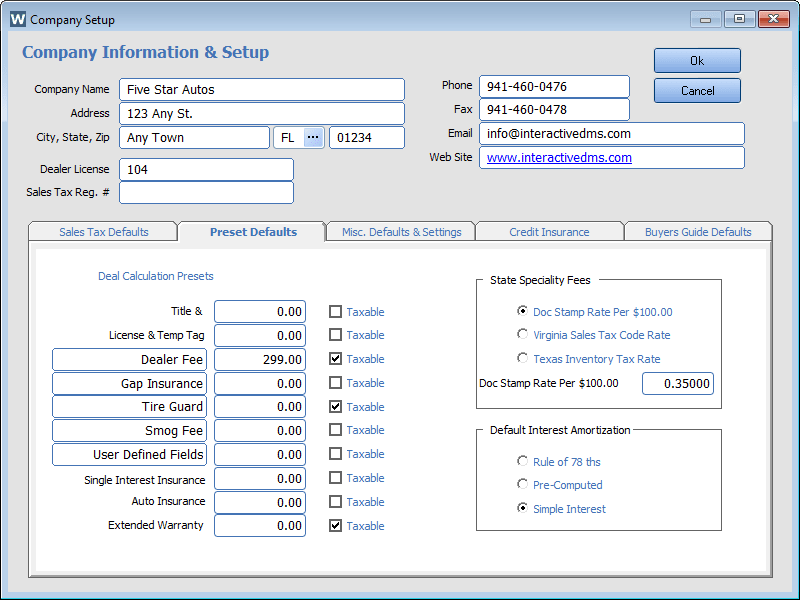 Custom configure InterActive DMS to meet your dealerships needs. 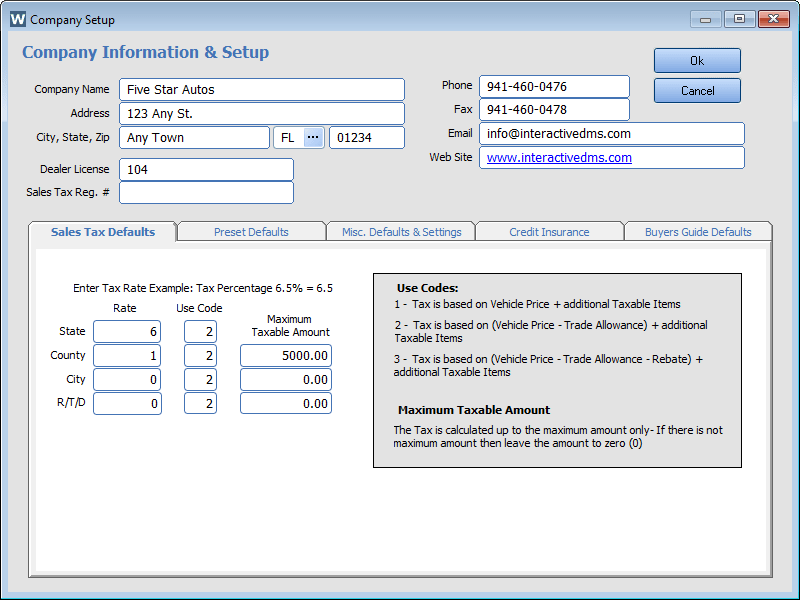 Easily setup default sales pricing on the most commonly used sales items like dealership fees to reduce time in calculating new sales. The intuitive screen layout makes it completely simple process even for the computer novice. You can create multipliable companies, related finance company, and even separate sales by lot location, and more! Setting up your state tax rates is simple! InterActive provides four taxing authorities with configurable use codes to meet your requirements, State, County, City, and R/T/D. Each sales screen allows you to interactively change any rate on a sale by sale basis. Custom Fields allows you to define the products you sell. Dealer Fee, GAP insurance, Accessories or Smog Fee and more can be set up to meet your needs. InterActive has five custom fields with default pricing and whether the product you sell is taxable or not. 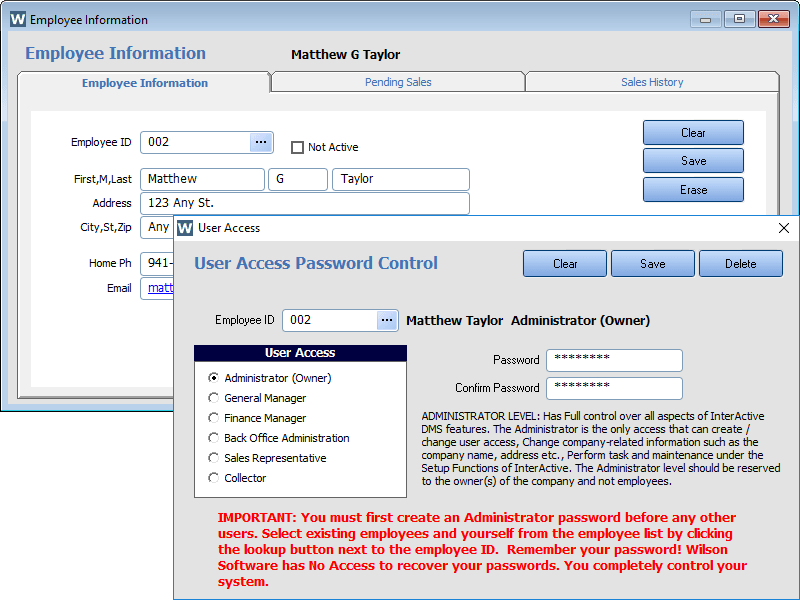 Define your employees’ access and roles within InterActive to keep control of your valuable assets. Accountability and safe guarding your customers’ personal information is required to meet today’s tough compliance requirements.